More often than not, we’re met with a murky answer at best. Clients range from legitimately having no idea what their project budget is, to being hesitant to give a number because they’re worried a proposal will “coincidentally” come in just below it. In reality, spending some time identifying a budget with your internal team – for a new site build, a redesign or ongoing support and maintenance – is going to be a key to your success. If you’ve managed your company’s website for any length of time, you’ve probably requested quotes for web projects and been subject to the albeit confusing experience of receiving estimates that span what feels like an inconceivable range. After more than a decade in this business, all we can say to “comfort” you is: it’s normal. Why does such discrepancy exist? You’ve got a huge range of talent and experience in the market – and web developers range from a couple of freelancers working together to agencies with hundreds of full time devs and nearly unlimited resources. Each can have it’s upside (and potential downside) – primarily based on where you’re at as a client, and…what your budget is. Having a budget in mind when you begin researching potential partners can save everyone involved a lot of time. They will be able to tell you right away whether a partnership is possible or not based on hearing the basics of your project and your budget range. What’s the point in talking any further for example if your budget comes in way under what the provider can accommodate? Or vice versa, if you have a huge budget and maybe you don’t realize how small the company you’re looking at is, it might send up a red flag for them to take a step back and let you know, “hey, we might not have the resources to provide what you need.” If the person you’re talking to has any integrity at all, they’re not going to move forward with a project they don’t believe they can deliver. Nobody wants to be a source of disappointment. That being said – identifying a budget is a loaded task with countless variables at hand. Some industry standards, or at least ballparks do exist though and can help guide your internal conversation and set expectations amongst your team on how much you should potentially be prepared to spend, in order to grow your business online. Using your company’s annual revenue can be a helpful starting point for creating some base expectations. If you’re a small business with less than $250,000 in annual revenue, you need to be thinking about starting small. You’re likely going to be working with an individual freelancer, and you’ll want to consider as many templated solutions as possible that don’t require a lot of customization. Think themes, extensions, basic functionality. Everyone has to start somewhere and by setting realistic expectations, you’ll set yourself up for success with a quality starter site, that can always be revamped, or scratched and rebuilt later on. By sticking to the basics and focusing on only what you really need in the moment, you can likely have a site built for between $7,000 and $20,000 – and you can probably find a freelancer in the $20 – $60 per hour budget range who can help you with ongoing maintenance and fixes. Once you exceed $250,000 in annual revenue, it’s time to start thinking about a more serious investment in your website to continue scaling your business online. All the way up to roughly $1M in annual revenue, a good benchmark for a new site build or total redesign/rebuild is 5% of your annual revenue. At this point you’re likely in need of an improved user experience and more customization – for ongoing support and continued improvement, earmark around 5% of your project budget (that 5% number) per month at a minimum. If you’re solely looking for monthly web services for new additions and fixes, but not a total new build, an ideal budget for an inclusive retainer package is likely going to fall between $1,500 and $7,000 per month. As you continue to grow, you’re going to want to start really moving away from any templated solutions and creating a website that’s completely unique to your brand and your customers. Between $1M and $5M in annual revenue, think about starting your budget conversation at 3-5% of your annual revenue for a new site build or redesign, and again roughly 5% of that project budget per month for ongoing support, maintenance. 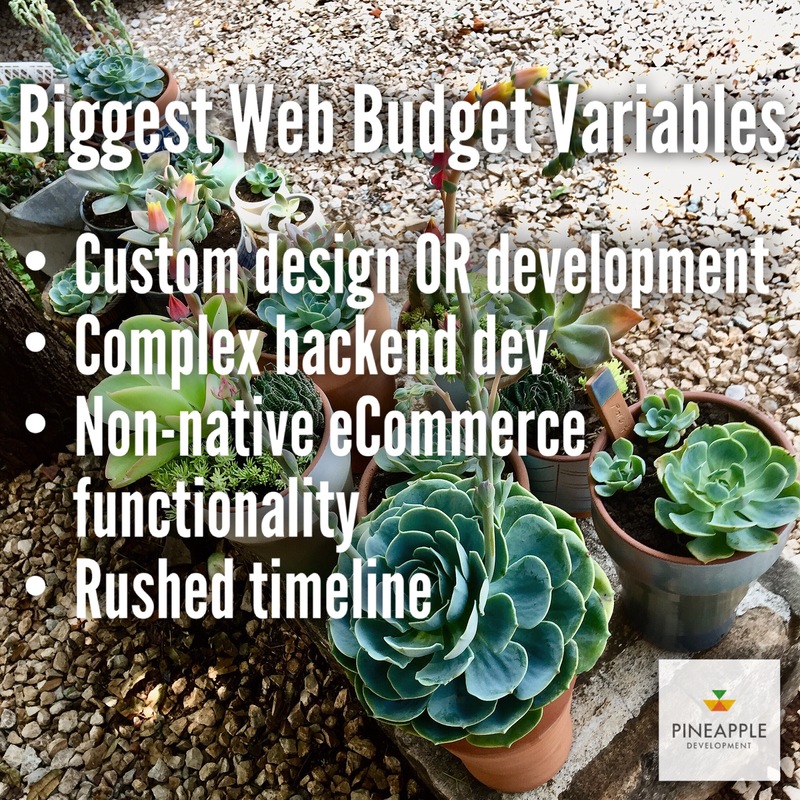 If you have a rolling strategy for continually adding/building new functionality into your site you should increase your budget for ongoing monthly work to about 5-7% of the initial project budget. And if you’re happy with your existing site, but ready to hire a long-term web partner – again who will build out new functionality but also provide support and maintenance – of course it could be variable dependant on the extent of your needs, but at this size, you’re likely looking at anywhere between $7,500 and $10,000 for a monthly retainer. For companies pulling in between $5M and $15M, you’re in the big leagues now and quite frankly, you can’t afford to be stingy with something as crucial as your website in 2018 and beyond. New site builds or redesigns; start your budget conversation at 2-3% of your annual revenue and about 3-5% of that project budget per month for ongoing support and maintenance. If you’re not building a new site, but need a long-term partner to fine tune and continually improve and add to your site, discuss a minimum retainer budget between $8,000 and $15,000 per month with your team. Exceeding $15M in annual revenue? At this point budget probably isn’t a concern per say, but it still helps to have an idea in mind when you’re scouting a partner and negotiating an agreement. Think about .5 – 2% of your annual revenue for a new site, roughly 3% of that per month for ongoing support – and for web partners outside of building a new website, you’re likely looking at $12,000 to $20,000 (and potentially beyond) per month for ongoing support, maintenance and upgrades. These are by no means exact figures; they haven’t been put to the test via studies and surveyed across thousands of web agencies. They are simply benchmarks that we’ve observed as a common thread over the years, and a place for you to start your conversation with your internal team. If you’re reviewing the numbers above and thinking “there’s no way we could afford that,” you know you need to be looking for a smaller, more intimate team to partner with – keeping in mind that you may only be able to afford a more limited pool of resources at the moment. If you’re looking at the numbers and thinking “that’s it? !” you’re probably ready to work with a larger agency. If you’ve somehow scaled your business from $250,000 per year to $10M, but your website hasn’t become any more robust (which would be incredibly rare), then you wouldn’t need to scale up your budget nearly as aggressively. Having a budget in mind will help set expectations from the start and identify a web partner that’s truly in sync with the size and scale of support you need, at the point you’re currently at within your company’s growth trajectory. Customization. Anything custom is going to drive up price – obvious, right? Design work. Are you handling design in-house or do you need a web partner to handle both design and development? And are you simply changing elements of a theme like images and color, or do you need a complete custom design (which includes lots of research and planning)? Design drives up cost, especially if it’s…you guessed it….custom. Complex backend development. 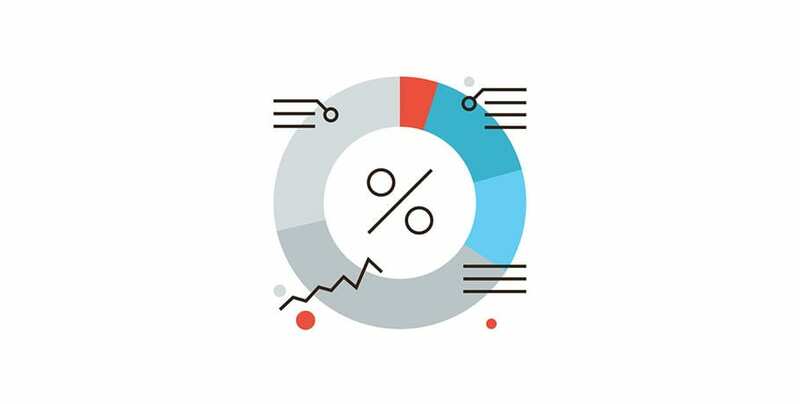 Are you trying to formulate a custom algorithm, build your own custom database or create a proprietary marketing tool with targeted, automated functions? Intuitive tools can be built….at a cost. Few developers have the capability to execute such complex work and therefore, you should be prepared to pay for that knowledge and skill. For eCommerce sites in particular – do you want to incorporate functions that are not a native feature to the platform you’re on? Leave some wiggle room in your budget. Do you have an incredibly tight timeline that will require overtime to achieve? Pulling together resources for rush projects is a challenge, and you may have to up your budget if you want to make it happen.